I have owned the FT-1500m 2M rig for almost ten years now. 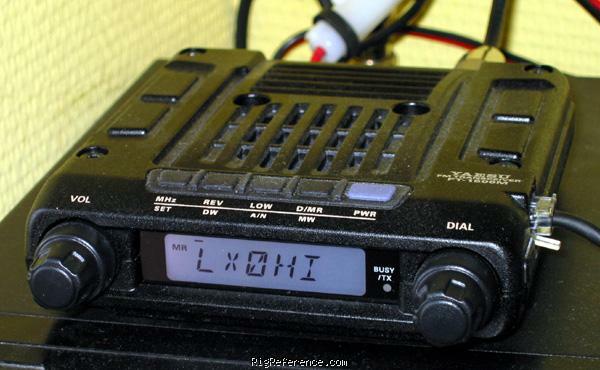 Never had a problem with this radio and have even used it with FLDIGI for digital communications. The data port on the back of this radio worked great. It is very nice to be able to use voice and digital at the same time. Great radio. Don't be afraid to buy a used one. Having said that....buyer beware. I have owned my FT-1500 for 19 years and never had a problem. Never been opened either, I have only had problem with the mic cord. I replaced the cord times because Yaesu uses very cheap rubber type coating. This is the ONLY downfall about the radio, but not the radio itself. I will use this radio till it dies. I personally never had a better 2 meter radio yet. I have contacted Yaesu about the mic cord and are aware of the problem....Well Yaesu fix it then!...If you are aware the don't keep manufacturing a cord that keeps frailing apart after only about 1 to 1 1/2 years of moderate use....This same cord is also used on other Yaesu models.....But overall I give the "radio" a 5 star rating! Estimating the value of a rig can be challenging. We collect prices paid by real hams over the years to help you estimate the current value of the Yaesu FT-1500M. Just bought or sold this model? Let us know what you traded it for and help other ham operators!